With a lyrical name like Lyman Ditson, one seems almost destined to be a poet. 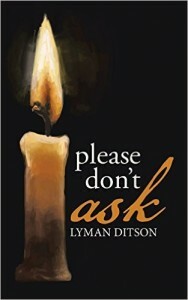 Please Don’t Ask, Ditson’s eclectic collection of poetry, traverses a variety of genres, subjects, and forms, taking readers on an interesting journey of words. One of the great things about modern poetry is that it doesn’t insist on similarity and consistency as benchmarks of success. A book of poetry today doesn’t have to contain only poems that take place in a specific location or only those of a particular metrical pattern. It doesn’t have to be love poems or political poems or spiritual poems – it can be all of these and more. Modern poetry thrives on variety and purity of self expression, no matter the form, and Please Don’t Ask fits right into this ideal. Ditson has crafted poems that act as social commentary (i.e. the world of celebrity through the lens of mythological figures in “Mount Olympus”), that rely on humor to convey a message (“Just a Trash Bin”), and that transport readers to another time or place (“The General”, “Adobe Land”). Several pieces in the collection are clear standouts. The absolutely beautiful imagery in “Prior to Eternity” will make you feel as though your own memories have been stirred, whether or not you’ve ever “slept ‘neath the stars”. “Cricketland” is an example of wordsmithery at its finest, while “Self” reminds you why poetry is considered an art. While there may be the occasional poem in Please Don’t Ask that makes you stop and re-read to make sure you have a real grasp on what it’s about, more often than not the thing that will stop you are lines like “gaze across the cosmic sea” and “cast my knowledge into infinity’s canyons” because you’ll wish you’d written them yourself. 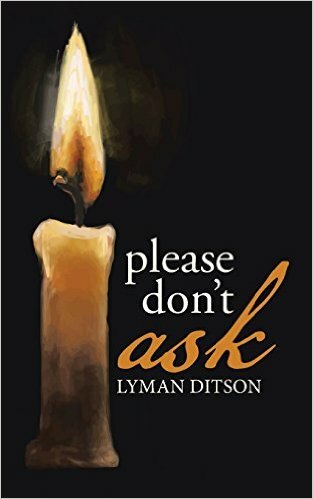 It’s sad to say that often books of poetry aren’t the most exciting things you’ll ever read, but one thing that can help a collection to grab readers is to embrace variety, to focus on expression over homogeneity, and Ditson achieves this in Please Don’t Ask.